Hello diddles! 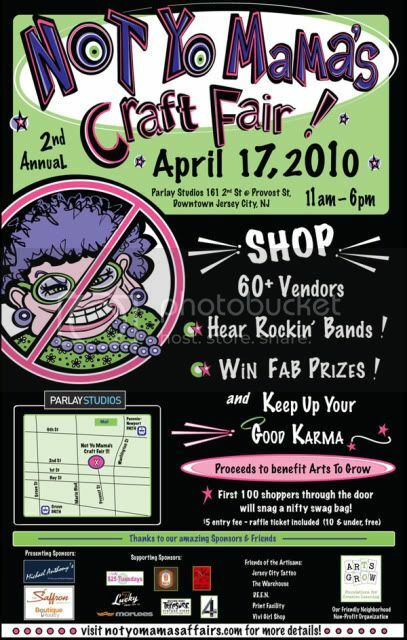 Just reminding New Jersey/New York and visitors to stop by this Saturday, April 17th to the 2nd annual Not Yo Mama's Craft Fair! I've been waiting for this because well, I love crafts and random thangs. I am also there to support and also see all the hard working artists! Shouts to Branded Baron, KupiArt, and Proper Criminals. See you Saturday.